Euthanasia refers to every action associated with death of a patient in order to alleviate the pain of the patient who entered the phase of death due to incurable disease. Issue regarding ethics and effect of euthanasia, in fact, has a very long history as it appears within the ancient western history. Following the 3rd century, Christian philosophy in which human life is given from God so that it cannot be driven according to human’s will has been firmly rooted in. However as Renaissance culture came into action so that the concept of euthanasia became reexamined as its discussion has deep root in which debate between pros and cons is severe. 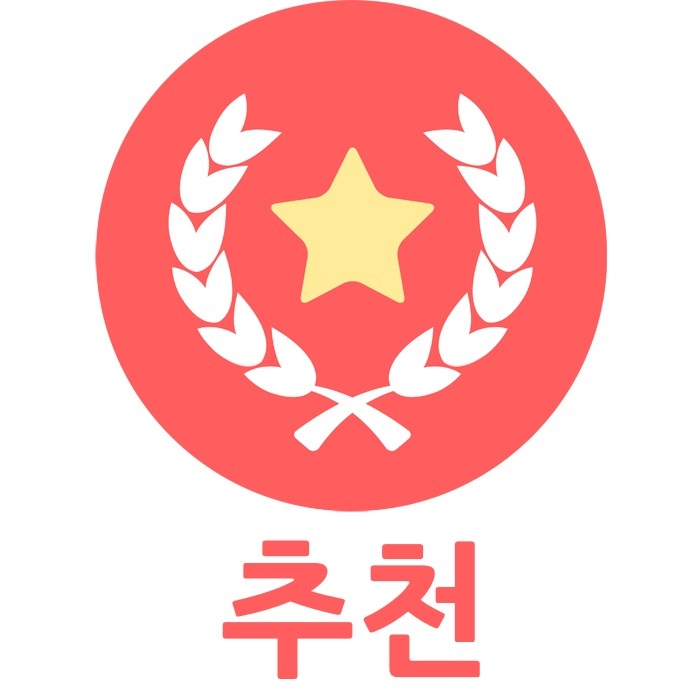 In the case of Republic of Korea, the debate started from the claim where it states ‘right to die in humane way’ in response to the ‘right to live as human’. Euthanasia, in terms of legal field, is defined to be a case where a person’s life is shortened by medical intervention for removing or alleviating the pain with the approval or ask of patient who suffers incurable or difficult-to-cure disease. According to its classification, the concept of euthanasia can be specified in detail. Eventually, there are two sides fighting against each other: one claiming that any type of euthanasia cannot be allowed and the other claiming that allowing the practice of euthanasia accordingly to each situation and condition is more reasonable when it comes to respect the human rights. Where do you stand? Is euthanasia a reasonable decision? A type of euthanasia in which it is being carried out by the will of the patient himself who gets to die. The patient asks for euthanasia through active ways including order, ask, or application or through passive way as approving the practice of euthanasia. Semi-voluntary euthanasia is similar to the voluntary euthanasia as it leads to the death of a patient who has an ability to approve of his own death. However it differs in that the patient himself is not the one who approves the practice. When euthanasia is being carried out unto the patient who did not approve the practice despite his having the ability to approve of his death, it is called to be semi-voluntary euthanasia. It refers to the case where the patient who has no ability to approve of his death is led to the death by euthanasia through other’s decision. It is the type that specific actions are being carried out actively with full intention of shortening the life of a patient from the beginning by the practitioner. A case where the patient goes through euthanasia through being injected by the fatal amount of substance falls into such category. Passive euthanasia refers to the situation where the patient gets left out despite the ability to halt or delay its development when the patient enters the phase of death due to the pre-existing disease. It includes every action which leads the patient to death by withdrawing medical intervention having been provided to the patient or by not providing any necessary intervention from the beginning. The reason why a patient, family or doctor decides to stop or not start the medical intervention as a way of passive euthanasia is generally related to the situation where the effect of cure would be too weak or not effective at all to the patient at all or the process would be too stressful to the patient himself. a. Euthanasia should be acknowledged as it is one’s self decision for his own life. Social discussion directed to the systemization of ‘stopping the meaningless medical intervention’ has already begun. Meaningless medical care for maintaining the life is not only the most painful and unfortunate event for the patient himself and his supporters around but also against one’s individual human right asking an end with comfort and dignity. A patient who has no his own will or hope to live any longer should be guaranteed with the right to choose his own death comfortably. Legalization euthanasia is necessary in that it ensures the human right for one to choose his last moment with dignity rather than dying within the hopeless medical care at the hospital. Issue regarding death always stands up on the front line of ethical decision. Euthanasia, in that sense, inclusively holds sufficient possibility to lead people to treat life too lightly. Therefore, unless there is enough system prepared for fight such tendency or answer to such concern, euthanasia should never be allowed. b. Life cannot be decided according to others’ judgment including financial problem or else. When medical treatment is being stopped according to family member’s statement or decision, and approval of medical staff, such decision may differ from an actual will of the patient himself. Pros side suggest ethics committee within the hospital or else as final judgment service but such committee would be following the benefits of hospital so that it cannot be treated as a legal solution. Related legal or institutional systems are too weak yet. In conclusion, unprepared legalization of practicing euthanasia has too much danger to be misused as easy method to take care of socially weak people, which already has been proved to be really happening. It can be defined in one sentence. “Allowing euthanasia” leads to the death of the poor patient. what is life for people? One thing is clear that they wanna lead their’s life for healthy, happy, wealthy. so does that mean you support people commiting suicide as well? Some people might agree with the claim that euthanasia should be banned for some reasons such as the christian philosophy, the sanctity of life, and so on. However, in my opinion, I believe that the house should allow euthanasia to let people live a better life. I think that the goal of life is to live a better life. I also believe that to live a better life we should be able to make a decision on an important matter in our life. Otherwise, we would be depressed especially when the matter concerns what we suffer from. It might make a whole family depressed when the family has to keep their beloved one alive who suffers from incurable disease in the name of ethics. The family, including the patient, might not only suffer from running up high hospital bills but also from letting their beloved one suffer from incurable disease forever. Therefore, I think the family should have the discretion to decide whether to administer euthanasia. In short, I believe that the house should allow euthanasia to let people live a better life. A right is a moral claim. We do not have a claim on death; rather, death has a claim on us! Some see the “right to die” as parallel to the “right to life.” In fact, however, they are opposite. The “right to life” is based on the fact that life is a gift that we do not possess as a piece of property (which we can purchase or sell or give away or destroy at will), but rather is an inviolable right. It cannot be taken away by another or by the person him/herself. The “right to die” is based, rather, on the idea of life as a “thing we possess” and may discard when it no longer meets our satisfaction. The “Right to die” philosophy says there is such a thing as a “life not worth living.” For a Christian, however, life is worthy in and of itself, and not because it meets certain criteria that others or we might set. I’m still trying to learn english, so there’ll be some grammatical error. Sorry for that! If all of us are christian, the ”right to life” and the ”right to die” are on opposition. The thing is not everyone is christan. I would like to discuss this topic through the ”right to pursue happiness”. Becasue life and death are in the same category under the name of right to pursue happiness. Both of them can’t be our possession but there’s a diffrence that although we can’t choose to be born, which means life, but we still able to choose our ends, which means death. So if someone finds the happiness at he/she’s own death, and if their act is not illegal, then we should respect their decision. Because they’re pursuing their happiness! Christians are think that Jesus had lend life to the people so it’s not their possession and can’t be discarded. This is their absolute proposition. If you’re a christian and you don’t agree with euthanasia, then go ahead. You can chose to be survived though you realized that their will be no happiness in your life anymore. I understand that You think you are amortizing your life to god. So I can respect your point of view and your faith to god. So please respect non-christian’s opinion. Although a society approves euthanasia, it doesn’t mean that everyone should be euthanasianized. This can be appiled to the basic of discussion-Respect other’s opinion. If there’s a absolute proposition about euthanasia, then how could discussoin happen? There exist, however, some situations where this fact comes to have little meaning; when it is explicit that one will pass away soon with great and even inhumane pain. Being an owner of something means having a leverage to influence it, which means influencing what WILL happen in the future(I already mentioned that there are some duties to be fulfilled, which is what this future is all about.). Therefore, in these cases where such a future can’t exist, the parts of ownership of a life from so many people and the society loses its meaning. What is left is whether his/her right to be spared from extreme pain and to enter into the state that is after all inevitable for all of us is respected or not, which I dare to say belongs to the very basic human right. Only for those who are deprived of the future or possibility by cruel destiny should euthanasia be allowed. I would respectfully disagree with your claim that one does not have ownership over life because it was given by others. Yes, life was given by others, but how does that take away one’s right to claim ownership of one’s own life? According to your logic, nobody should be able to claim ownership over one’s life because everyone was born from a parent who was responsible for them. This seems extreme, since people do have control over their own lives through the life-choices they make and, at a certain point, often becomes independent from the parents that brought them to existence, both financially and in a behavioral sense. The idea that one’s ownership to one’s own life is taken away simply by the uncontrollable act of being born is difficult to comprehend. Also, those subject to euthanasia are all patients, and hence it seems logical to assume that those who choose euthanasia are all subject to pain and suffering, as well as forsee a bleak future – why would they want to end their lives if they don’t find this to be true? People should have a right to choose how to end their life. Many people ‘worry’ about how it can undermine the value of human life, but the fact is that hundreds of thousands of people are suffering from illnesses without a cure. Is it okay to let these people suffer, both from physical pain and the guilt of seeing their loved ones struggle financially and emotionally, just to satisfy people’s ridiculous sense of self-righteousness about protecting the value of human life? It is true that Euthanasia might degrade the value of humans. However, if we leave a patient that is very sick and has hardships living on, it might be more valuable to give him the choice to choose when he will die. Also, as we are giving him to choice to choose when he will die, it is actually giving him more rights to choose his life. Also, it can be more helpful to the family of the patient’s because there were huge amount of money used to sustain the life of the paients.